One of Utah's most talked about legends is that of the ghosts of Camp Floyd. Moving furniture, bumps in the night, and mysterious shapes out of the corner of your eye are just some of the stories you will hear about the ghosts of Camp Floyd. Camp Floyd was established by under the command of Brigadier General Albert Sydney Johnston in 1858. The United States government was afraid "the Mormons were going to take over", and decided that they needed troops in the area to "keep them in check," if they ever decided to "take over." Of course there was never a "take over", and the cost of keeping the camp open was too costly for the United States government. The soldiers at Camp Floyd were needed to fight in the Civil War, and left Camp Floyd in July 1861. 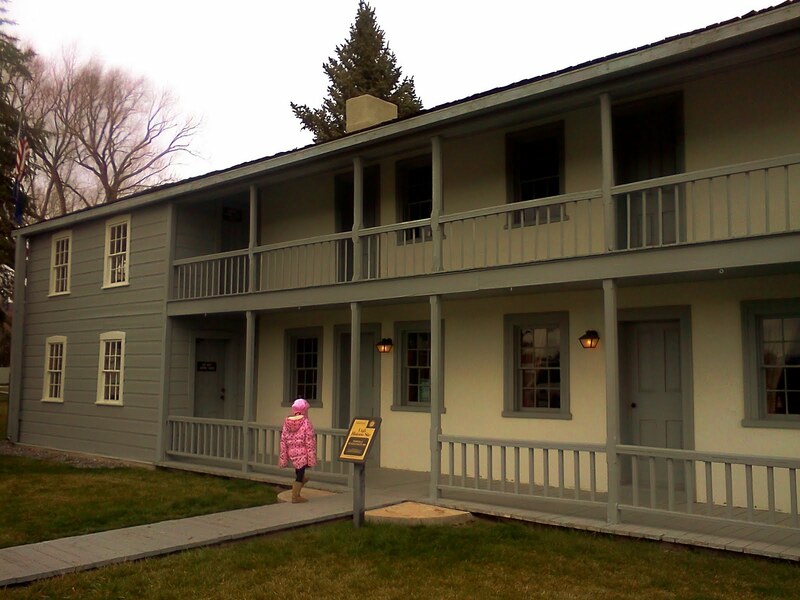 The historic Stagecoach Inn, located at Camp Floyd, is perhaps one of the most talked about and mysterious buildings in Utah. The plaque outside the building reads: "Built by Mormon pioneer John Carson in 1858, the Stagecoach Inn served as a stop and hotel on the overland stagecoach route. The horse-drawn stagecoaches on the route delivered mail and passengers from St. Louis, Missouri, to San Francisco, California. The trip took 22 to 25 days. Guests at the inn included westward travelers and visitors of nearby Camp Floyd. General Albert Sidney Johnston preferred the inn because the owner John Carson's refusal to allow liquor on the premises. 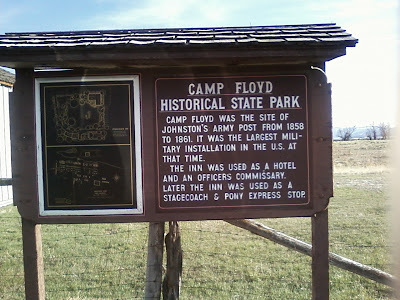 Camp Floyd was abandoned in 1861, and the popularity of the stagecoach travel diminished with the completion of the first transcontinental railroad in 1869. Despite these changes, the inn continued to operate until 1947, serving mainly travelers between Salt Lake City and the mining camps of western Utah and eastern Nevada." A popular guest of the Stagecoach Inn include Mark Twain and his brother. Meals cost 25 to 35 cents a piece. While touring the Stagecoach Inn, you will find bullet holes in a few of the walls. One night while staying at the inn, a guest was cleaning his gun when it accidentally went off. Luckily the guest in the next room had just laid down, and nobody was injured. The Camp Floyd Cemetery is located down the road, South, from the Stagecoach Inn. There is debate whether or not soldiers are actually buried here, and if so, who they are, which only adds to the mystery of the camp. The Fairfield Cemetery is also located close by, towards the North. 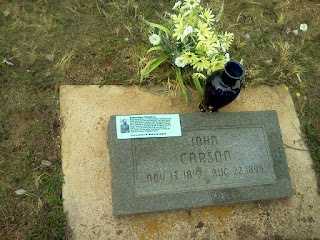 Here you will find many graves of those who helped establish Camp Floyd, including John Carson, owner and manager of the Stagecoach Inn. Do people from Camp Floyd's past still linger here? Every October the Camp Floyd State Park holds a "Ghosts Of Camp Floyd" tour, where you can bring your own cameras, recording devices, and anything else to try to catch a glimpse or hear a whisper of some of these long forgotten "guests". About The Ghosts Of Camp Floyd Tour (from the Utah State Parks website): Is Camp Floyd haunted? The public is invited to participate in a paranormal investigation of Camp Floyd on the last October Saturday before Halloween. Visitors are encouraged to bring their own tape recorders, film, digital and infrared cameras where park staff will assist participants in the use of their equipment in finding paranormal orbs, mists and sounds. A brief presentation will be conducted to familiarize visitors with ghost hunting techniques before the investigation starts. Park staff has conducted two investigations of paranormal activity at Camp Floyd and will also present their findings at that time. They gathered evidence using sound recordings, digital and film cameras. Visitors will have the opportunity of hearing recordings, see photographs and view other paranormal evidence gathered at this historic site. All participants will be invited to present their findings at the conclusion of the investigation. Visitors are encouraged to view the museums at Camp Floyd prior to the event and the admission fees for the event are $2 per person or $6 per family. View their website to register and for more information. Read more about Utah's Mysteries and Urban Legends! This is where my mom grew up. So she thinks it's pretty interesting. Thanks for sharing, Michelle!